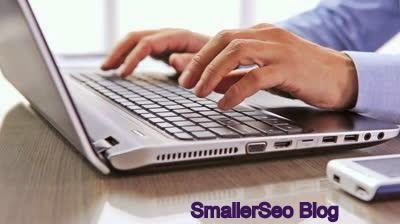 In the internet world when we surfing the browser, we have seen millions of websites, blogs, and gaming sites. Websites are categorized as travel, education, e-commerce, personal resource, general internet and others. But there are some websites which are really unique and very useful…. Internet is an amazing source and here some of the websites are very useful for the users. Here we go with the list of some unique and useful websites on the internet which are useful for everyone. GTMetrix.com – Check your websites speed. Alexa.com – The web information company provides commercial web traffic data for everyone. Goo.gl – Url shortener from Google. Allows you to track, in real-time, the clicks and referrers. You can see your existing links and avoid duplication. Askboth.com – One search and get results from Google, Bing and Twitter. Google Translate – Translate texts just typing or as document. SpeedTest.net – Easy way to test your broadband speed. StumbleUpon – Website discovery engine. Collection of best pages on the Internet. About.me – A complete professional page about you. GoogleWebDesigner – A free and easy tool to create animated, 3 HTML5 Ads in minutes. PayPal – Worlds faster and secure online money transferring system. Pay and get paid. Wolframalpha.com – Computation knowledge engine. Evernote – Save your notes for life time. ResizeYourImage.com – Resize your image, its free and easy. Imgur.com – Worlds greatest image hosting and sharing service. Quora.com – Source for knowledge. Question and Answer Website. Iconfinder – Free Icon search engine. PrivNote.com – Send notes that will self-destruct after being read. Xmarks.com – A powerful tool to Bookmark, Sync and Search. MyFonts.com – Fonts for prints, products and screens. Determine the font name from an image. Chipin.com – Easy way to collect money for events etc. Sleepytyi.me – The Bedtime calculator. Snapito.com – Take full length website screenshots. WordCounterTool.com – Accurate word counter and also can use to test your typing speed. SmallSEOTools.com – Prefect plagiarism checker. OnlineConcersion.com – Convert anything to anything. Plaxo.com – Plaoxo helps you to organize, manage, and access your contacts in one place. MiiCard.com – Your online internet identity. TwitterFeed.com – Create feeds and connect with your Twitter account, Facebook profile or pages and LinkedIn profile. ManageFlitter.com – Advanced Twitter profile management tool. Paper.li – News curation platform. Become a news publisher with paper.li and Twitter. Ustream.tv – Worlds best and easiest way to stream live video. Join.me – Free screen sharing with anyone on the web. IMDb.com – Specially for movie lovers. To find who has been in which film and what the name of that actor is. TypingWeb.com – Learn to type. Free typing tutor and lessons. TwitLonger.com – Send tweets longer than 140 characters. TwitterSpirit.com – Set an expiration date or time to your Twitter tweets. Zamzar.com – Online file conversion site that works for hundreds of formats. Archive.org – The wayback machine to see how the website looks in the past. Vocaroo.com – Simple online voice recorder and you can download in different formats. WeTransfer.com – Share big files for free and secure. Can send up to 2GB in single time. Who.is – Find information on any domain name or website. profiles by username, first name or last name. Safeweb.norton.com – Is your website? Look up a site and get rating. Unfurlr.com – Find the original link behind the short link. Cutmp3.net – Easily cut MP3 files online. Similarsites.com – Find similar websites that you liked. HootSuite.com – Manage multiple social networks from a single dashboard. RankSignals.com – Free Backlink checker, can easily categorize nofollow, dofollow, hot links for your website. LeanDomainSearch.com – Domain searching tool that helps users to find their favorite domains related domains easily with one click. Lean Domain Search shows thousands of related domains that are available to register. Really an interesting and amazing post. Thanks for sharing this wonderful informative article here. I appreciate your hard work. ezTalks is one free video conferencing software that allows up to 100 participants to join the meeting. Thanks for the post and keep updating. Sitenize tavsiye üzeri girdim. Güzel düşünüp bizlerle bu makaleyi paylaştığın için teşekkür ederim. It is a great sharing...I am especially happy with the substance you have determined. I expected to thank you for this marvelous article. Your site are amazing we search the information about Free Icon search engine now i found it...thanks You can also check your daily routine and your personality.